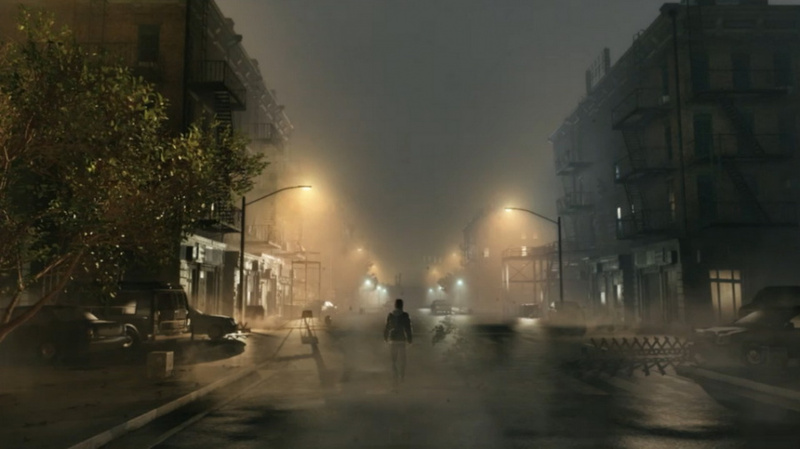 Is Horror Sequel Silent Hills a PS4 Exclusive? The whole Rise of the Tomb Raider mess appears to have caused some confusion in the console exclusives space, so let us teach you a very valuable lesson: if Sony doesn’t scream ‘Only on PlayStation’ after revealing a project, then it’s going to end up elsewhere. Firms may use doublespeak to confuse their message – we saw evidence of that last week – but even then it’s quite easy to see through the mumbo jumbo. As such, we were surprised to see people assuming that Silent Hills would be exclusive to the PlayStation 4, just because its P.T. taster was made available on the PlayStation Network. Seeing as this is a third-party project funded by Konami and developed by Kojima Productions – a developer which has just announced a PC version of Metal Gear Solid V: The Phantom Pain – we reckon that the chances of that are low. In fact, a Gamescom-themed newsletter sent out by Sony to Italian fans slapped ‘PlayStation Exclusive’ labels on titles like The Order: 1886 and Until Dawn, but notably not on Silent Hills, which all but confirms that it will be multiformat. Given the reaction to the demo, though, we could definitely see Sony stepping in to secure exclusive content and co-marketing rights much in the same way as it has with Destiny. In fact, that seems extremely likely. Definitely not exclusive unfortunately. I still can't over that SE and CD f**ked so many users over for a console that hasn't sold great and doesn't even have most of its fans. I'd love nothing more than to see Sony moneyhat Konami, stick it to Phil "I'm all about the gamer" Spencer and cause massive a$$hurt among the Xbots but it's just not going to happen. Sony can claim that's because it actually has first party studios, but I also think the fact it still has money issues is part of the problem too. No doubt in my mind if Sony was in a position to do it, there would be a response. I think its cross gen because its likely using the F.O.X. engine, MGSV & PES 2015 are prime examples. Its an engine that has little compromises. Of course it can be turned into an 'exclusive' when you least expect it. I have no doubt that MS gave Konami a ring to see if money talks. It's what MS does. Can't make games, go out and buy 'em. But you can't blame a company for using its best asset. I just hate when these idiot companies then try to tell us all 'it's for the best.' How is shutting out PS owners best for Tomb Raider when more fans of the series are on that console. It'd be like Activision suddenly, and stupidly, making CoD a PS exclusive. Really don't care about it being Playstation exclusive I just care about having a good Silent Hill game. all the screaming and ranting about exclusivity just gets tiresome. Microsoft throws money around, it always has and always will. Sony doesn't have the the funds to be playing that game so it gets it's exclusives from the studios it controls. @Gamer83 I'm not claiming it's true, but Sony have apparently not paid for outright exclusives for quite some time... at least from the PS3 days. It may have happened with the PS1 and PS2, but to be honest, I can't really remember. I know there were lots of third-party exclusives, but they weren't necessarily bought. The PS1 and PS2 were so dominant in their respective generations that developers/publishers may have been perfectly happy to make exclusive games of their own free will, as the revenue from other platforms may have been comparatively insignificant. Sony had a deal for Tomb Raider years back, I'm not sure of what the details were around GTA but it wouldn't surprise me if that was a moneyhat as well, at least for San Andreas timed exclusivity. But yeah, when you're selling way more than double your competitor's combined numbers, the choice is easy for third parties. These days though, it really makes no sense for a third party to make a game exclusive unless it gets a really sweet deal. Which is why I wish I knew what MS gave the scumbags at SquareEnix and Crystal Dynamics. @Gamer83 you assume that the developers actually played a part in this deal. If Titanfall is any indication, sometimes the publishers blindside the developers and they just have to make the best of it. Not saying that this actually happened, but it is a real possibility. @Paranoimia and @Gamer83 things were different in the past. In the PSOne and PS2 era games were normally exclusive, it was not until the 360/PS3 era that games became multiplatform by default. I'm not concerned about the game being exclusive to the PS4. I expect that the PS4 will have the best version, so I am happy that is where I will be playing it. Maybe Push Square should do a definitive list of the differences between exclusives (1st party, 2nd party etc) & why they happen. I imagine silent hills will not be exclusive and i dont care about that. the game should be awesome and il get to play it on my ps4 and thats all im botherd about really. My god not another article on Tomb Raider... exclusive or not? Who cares!!! Seems to an article every day about it on this site. It's boring now! Flaming the fears of the fanboy. @voodoo341 Maybe you should have read the article or atleast all of it as they were only using Tomb Raider as an example. @Gamer83 Microsoft helped with the cost of development of Tomb Raider rather than just paying for exclusivity outright. I couldn't care less about third party exclusive's as I own all consoles but I understand why people do. I doubt it, but even if it was, wouldn't affect me since I still plan on buying a PS4 during Black Friday 2016 (day after American Thanksgiving). @Shellybird27 really? From the content it seems to be more about Tomb Raider!